Put them into a container. Add 2% salt of the combined weight of water and potatoes. Cover with the cabbage leaves. Both to start the fermentation and to prevent the potatoes to come into contact with the air. 1-1½ day on the kitchen table. 2½-3 days in the refrigerator. 4 days total. Rinse, dry and deep fry them. 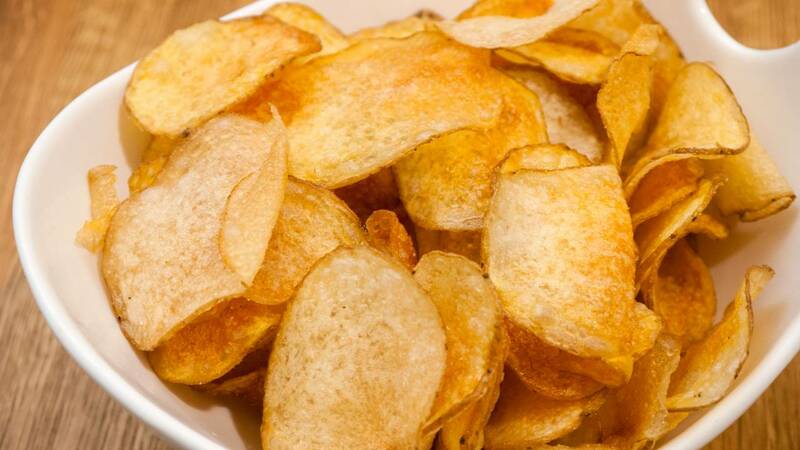 Like regular potato chips. They are really good. And amusingly enough they don't burn as quickly as regular chips, so they are easier to fry correctly. You can see how to fry the chips in my other recipe video.